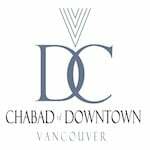 We would like to remind you that the next annual Yizkor prayers will take place on Shemini Atzeret, October 1, 2018, 11:00 am at Chabad of Downtown, 1260 Howe Street, Downtown Vancouver. The Yizkor prayers are said in the Synagogue on Yom Kippur, the Day of Atonement and on the last day of each of the Festivals of Sukkot, Passover and Shavuot. In these prayers we ask G‑d to 'remember' the souls of family and friends who have passed away. Yizkor, to remember, also provides us with a special opportunity to connect with our loved ones. For this reason part of the Yizkor service includes a pledge to tzedakah, charity, a mitzvah done on behalf of the deceased’s soul. Another mitzvah is Torah study, which our tradition teaches brings spiritual benefits to the souls in whose merit the Torah is studied. We can ensure that your loved ones are indeed remembered. As in previous years, we are putting together a list of all the names of loved ones to be remembered in the Keil Malei prayer at the Yizkor service. Each name will be included for a donation of your choice and will be used to support Torah classes. You create a double mitzvah – tzedakah and Torah study – on behalf of you loved ones. Having all these names compiled in one booklet, as is customary in many communities, brings everyone together as one family and brings an added measure of dignity and merit to the souls of your loved ones. Please use the form below to fill in the names of your departed loved ones, and we will ensure that all the names are remembered at the Yizkor service held in the Synagogue. I also would like to make a tax-deductible Yizkor donation of: $ CAD . A receipt for income tax will be mailed to you shortly.